Going into hospital, whether unexpectedly or planned, can be a very difficult time for patients and their families. Care and support from hospital staff can make a huge difference to their experiences, but when staff face increasing demands on their time, this is not always easy to deliver. A joint project between Bournemouth University, Royal Bournemouth Hospital (RBH) and the University of Hull funded by the Burdett Trust has been exploring how to support a caring culture for patients and staff through considering what makes us feel human. Bringing together researchers and practitioners has made a tangible difference to patient care, with encouraging results for both. “We wanted to work together with staff and former stroke patients to make sure that people are at the heart of everything the stroke team does,” says Dr Caroline Ellis-Hill, a Senior Lecturer in Qualitative Research who led the research in Bournemouth. “It was about putting the humanising framework into practice and working together as staff, patients and researchers. Caroline Bagnall, a Clinical Specialist, Speech and Language Therapist and Humanising Care Champion at RBH has been involved in the project since the beginning: “We’re always keen to improve the service we offer, so I jumped at the chance to get involved,” she says. “I found it incredibly valuable to have the time to reflect on the service we offer with both our staff and ex-patients. I was surprised how much I learned from just ‘being’. Being in a group of staff and former patients, and reflecting on our experiences without having a specific outcome in mind was a really powerful experience. Nikki Manns, Ward Sister on the stroke ward at RBH, wanted to get involved in the project as she saw it as a good opportunity to bring staff and patients together to share their stories and look at ways to improve patient experiences. “I’ve really seen a difference in our staff as a result of the project,” says Nikki. “They were so motivated to take part and have carried on sharing snippets and stories from the groups they were involved in. It’s been inspirational to see the way that the team have worked together, with everyone suggesting and putting into practice new ideas. Over the last few months, our feedback has shown that there’s a real team environment on the ward, so it’s great that this has been picked up by patients and their families too. The health care practitioners who have been through the programme have become RBH’s first Humanising Care Champions and are working to share their insights with other staff in the hospital. As a visual reminder of their work, they have created a humanising care tree on the unit, where staff share humanising moments, stories and feedback. It helps the team to keep focused on the things that really matter. 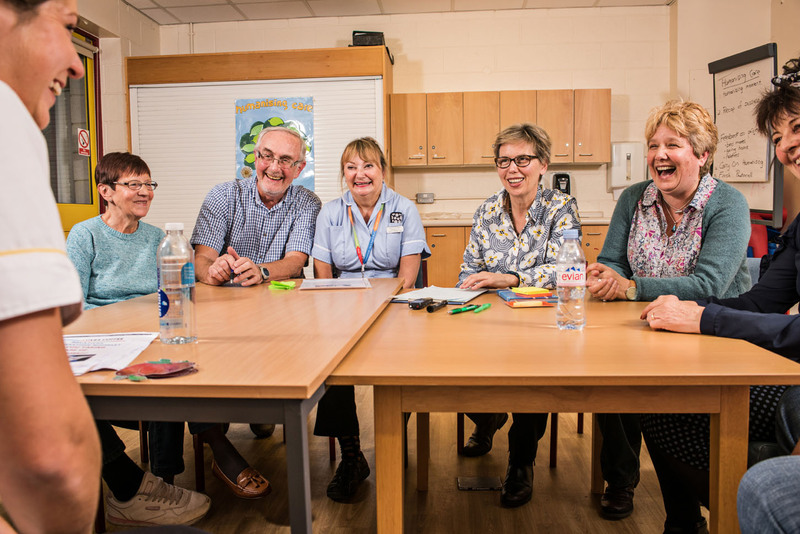 A group of second generation Humanising Care Champions have also been developed, supported by RBH – taking the research even further into practice. The project led by BU and RBH was part of a wider research project exploring humanising care led by Professor Kathleen Galvin in Hull. It was also part of a wider body of work led by the Centre for Qualitative Research into the Humanisation of Education, Practice and Research. For more information please go to www.bournemouth.ac.uk/brc-humanising. This story featured in the 2017 Bournemouth Research Chronicle, which can be read in full here. VeggiEAT: Are you a supertaster? Pippa Hillen: What attitudes do newly qualified adult field nurses have towards their role in public health? Chris Hilton: The role of attention in spatial (dis)orientation in people with early signs of dementia.